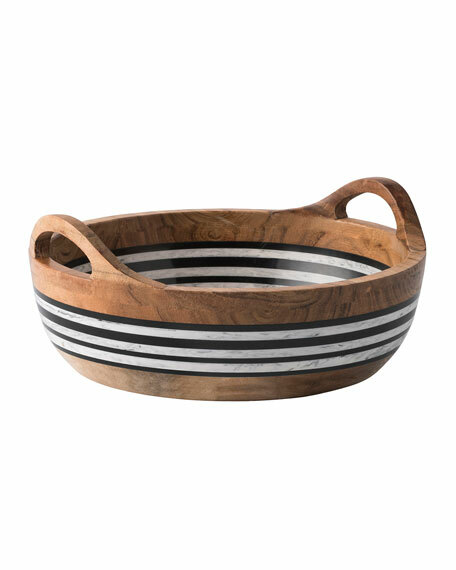 Round serving bowl with handles. Ceramic stoneware fruit bowl with hand-painted herringbone band. 11"Dia. x 4"T; holds 2 qt. Dishwasher, freezer, microwave, and oven safe. Ceramic footed fruit bowl. Dishwasher, microwave, oven, and freezer safe. 11"Dia. x 4.5"T; holds 3 quarts. Made in Portugal.